Some pets headbanging while their owners are out, as pets do. 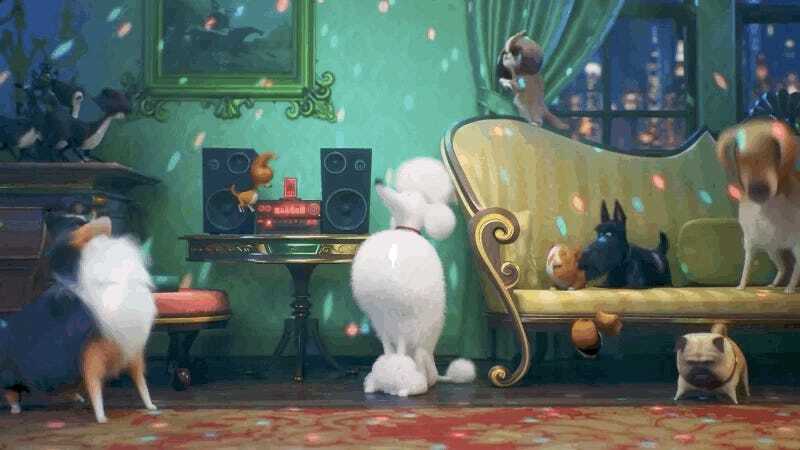 Universal’s The Secret Life of Pets franchise imagines all of the wild, out of character things our animal friends get up to when we leave them at home for any sizable length of time. Some pets get bored, while others take advantage of all the things their humans never let them play with, but in the new trailer for the next film in the series, all of the critters are dealing with something heavier. When Max the terrier realizes that his humans’ not-so-new baby is growing up and will soon begin leaving the house to attend preschool, he spirals into an existential crisis that’s only made worse by his newfound anxiety and fear of the outside world. While Max’s owners do what they can to help him with his issues (i.e., take him to the vet), the only thing that’s going to bring the dog peace is breaking out of the confines of his home with his animal friends on a mission to save the kid they’re all certain is in peril. 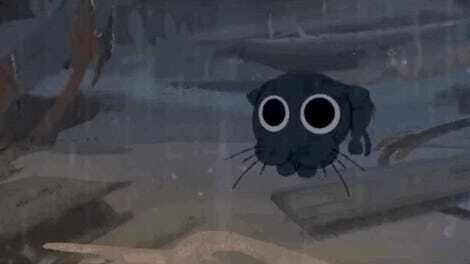 It’s almost certain that Max—voiced by Patton Oswalt; the rest of the cast includes Ellie Kemper, Tiffany Haddish, Kevin Hart, Lake Bell, Jenny Slate, and Harrison Ford—is going to learn that the kid’s just fine, but what are the odds that his owners are going to try to get him onto doggie anxiety medication when The Secret Life of Pets 2 hits theaters on June 7?